Barre Workouts Are for Everyone! You might think barre workouts are reserved for flexible dancer types, but the truth is, even if you haven’t touched your toes in decades or danced a day in your life, it just might be the perfect workout for you. True, the practice was created by German ballerina Lotte Berk, but it was designed as a therapeutic way to rehab her injured back. It’s a no-impact form of exercise that builds strength but is easy on the joints. 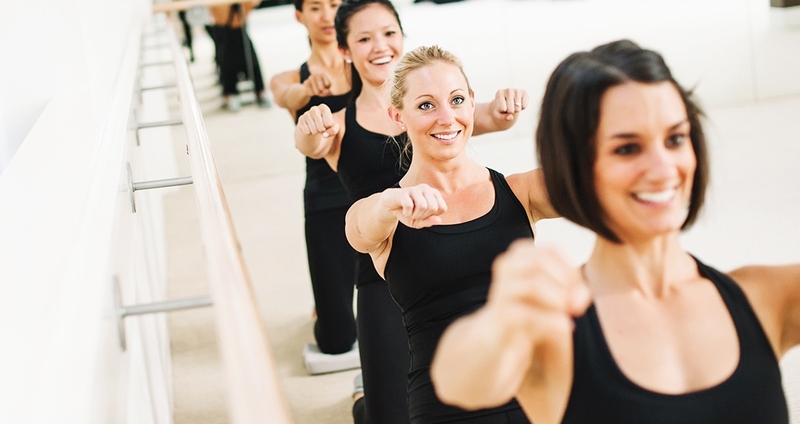 So, no matter your age, weight or fitness level, barre classes can help you tone up while improving balance, flexibility and even mental stamina. The barre landscape has changed a great deal since a student of Berk’s first brought her method from Europe to New York in the early seventies. In the last decade or so, several offshoots of the original have emerged, including Bar Method, Pure Barre and Barre3. Each has its own unique moves and philosophy, but all use the ballet barre as a main focus of class, and many of the exercises are derived from classical ballet moves. The nature of the technique is what delivers such quick and impressive results. As a general rule, classes start with a short warm-up, then arm exercises and push-ups, followed by thigh and seat work; stretches are performed in between sets. Finally, you’ll finish with core work and more stretching. Aside from small hand weights, the workout uses your body weight and balance to ensure a good workout. When testing out a barre studio or class, look for one where the instructors are highly trained on alignment and are able and willing to give you modifications if you need them. You should feel challenged, but encouraged at the same time. Chances are you’ll be sore a day after class, but that’s a good thing. Tender abs or a sore rear end means your muscles are firming and changing, and who doesn’t like that?